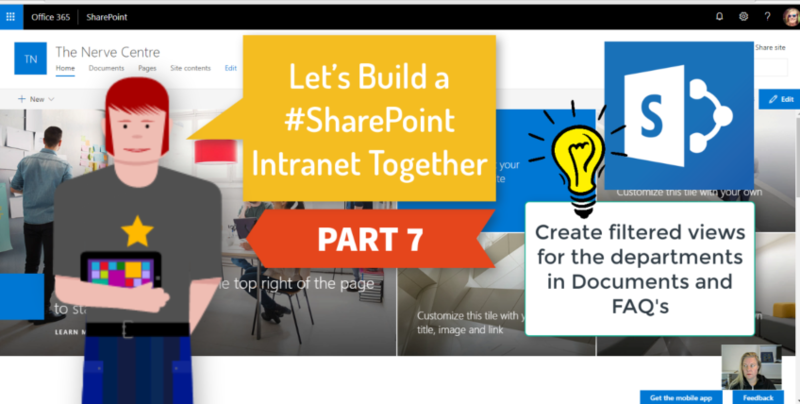 We’re making great progress with our #Intranet. Apps are built, we’ve created grouped views in our apps to display the content and now we’ll create filtered views. This will be used to display filtered views per department on the specific department page. For example, the Human Resources page will only display HR related Documents and FAQ’s. We’re not building sub sites for these departments, we’re building Info pages on the same level Intranet site.